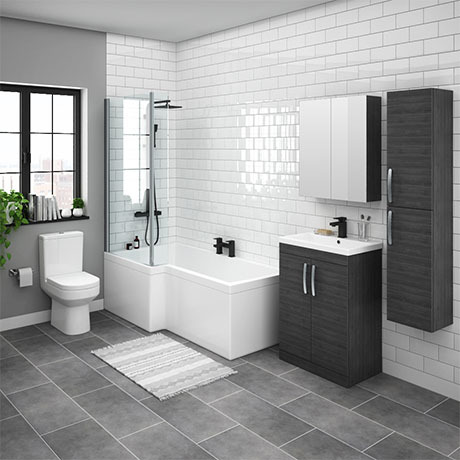 The Brooklyn hacienda black vanity with tall cabinet suite includes everything you need for creating a stylish contemporary bathroom in your home. Optional bath end panel (WBS301) sold separately. Not fitted yet but looks and feels quality.